Home Anything Zombie Want a Pair of Zombie Slippers? These Are the Best for You! 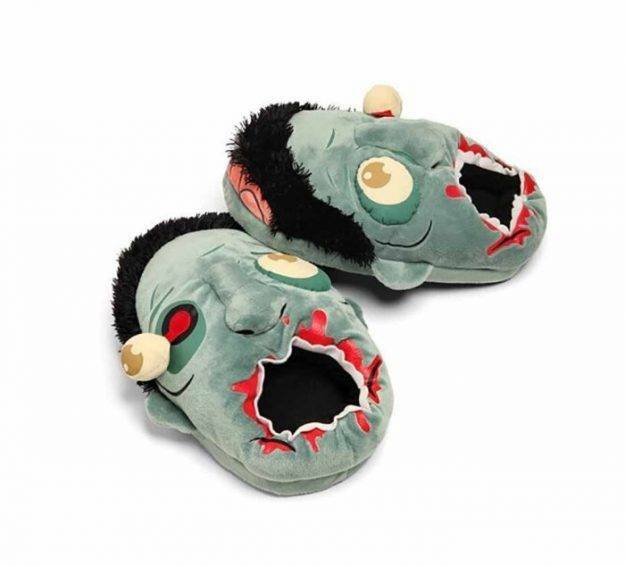 For zombie fanatics out there, I have some great news now that winter is coming: you can keep your feet warm by wearing these amazing zombie plush slippers that I have found. They look absolutely amazing, they are extremely warm and you can’t really call yourself a zombie fan unless you have at least one pair. The best thing is that these sizes usually fit most shoe sizes (unless you have really large feet) so you don’t have to worry about anything. 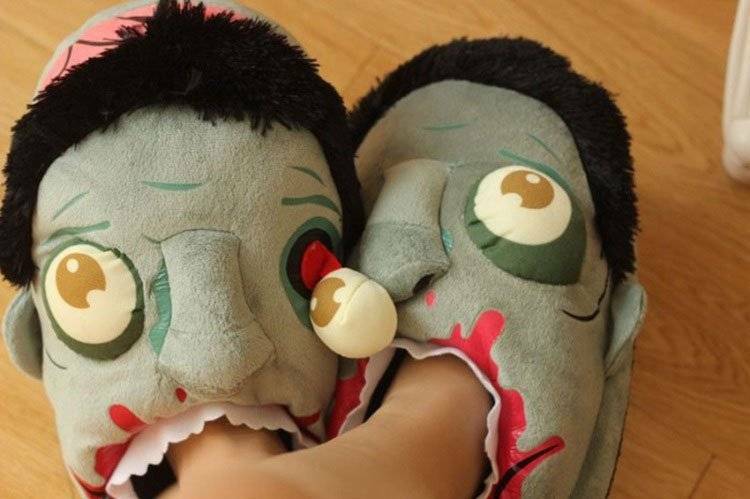 These being said, for all zombie fans out there, here are some amazing zombie themed slippers to keep you warm and entertained over the winter. 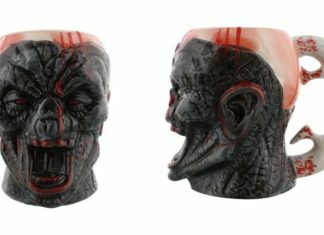 Or whenever you feel like literally putting your feet through a zombie’s head! I haven’t played a lot of Plants vs Zombies to know the characters so well and you don’t have to either. 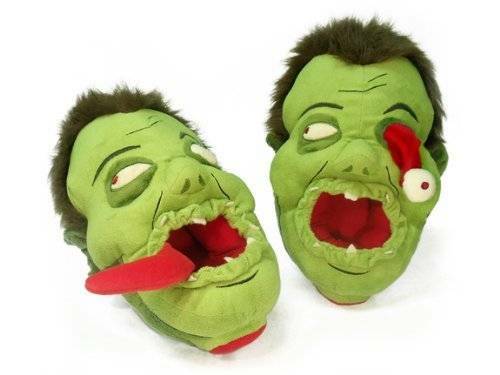 These are, in my opinion, the best zombie slippers out there: the quality is great and the design is amazing. The zombies have eyes dangling out of their pockets, the head is cracked to show a bit of the brain and their wide open mouths are ready for a bloody delight: your feet and legs! Truly amazing – click here to check them out! 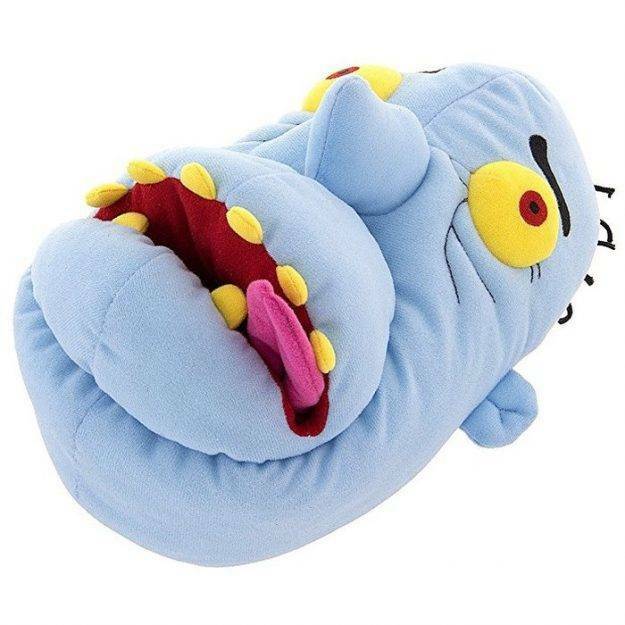 These are, in my opinion, the second best looking zombie slippers out there. They’re green, they’re hideous, one has an eye dangling out of its socket while the other has the tongue out. They look great and feel great. They’re not cheap, but they’re worth every cent as these are some quality crafted plush slippers, which are fun to wear and warm. Click here to get your pair today! If you’re looking for something even more fun than the pairs recommended above, then this one’s for you! I think the zombie looks a bit like Homer Simpson, and that’s always a bonus. 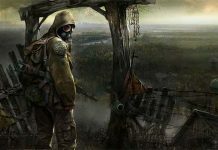 I am not really the biggest fan of this design, but you still get a nice bang for your back and a crazy, brain-loving infected chewing on your feet (of course, that will happen just in your mind!). Click here to get your pair now. 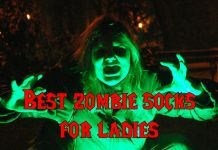 And I also have a bonus for all the ladies reading this article (or guys reading this looking for zombie-themed presents for their loved ones). 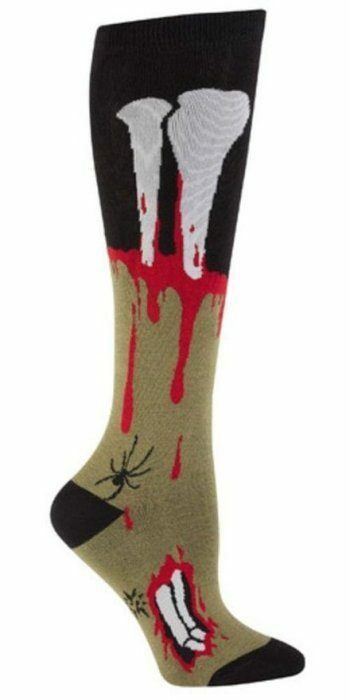 These Dead Zombie Leg knee-high socks work flawlessly with any zombie costume (or anything, really) but especially with your newly bought pair of zombie slippers. Brainy! Click here to check them out. So these would be our recommended zombie slippers to keep you warm over the winter or the colder days of spring and fall. There’s not a ton to choose from, but fortunately the options that we have for you are beautiful and of high quality, so you can consider yourself covered. Literally.